NEWER EPISODES AVAILABLE ON ITUNES, GOOGLE PLAY, AND PRETTY MUCH EVERY OTHER PODCASTING APP BESIDES SOUNDCLOUD. Museums in Strange Places is a podcast about Icelandic museums and museum culture. Subscribe to Museums in Strange Places and you can expect fascinating conversations with Icelandic museum professionals, world class exhibitions, private museums in gas stations, an introduction to Icelanders and their knack for storytelling, and a unique window into the inner workings of museums on this strange but wonderful little island. Get bonus material from each episode (photos, further reading, links) at hhethmon.com. 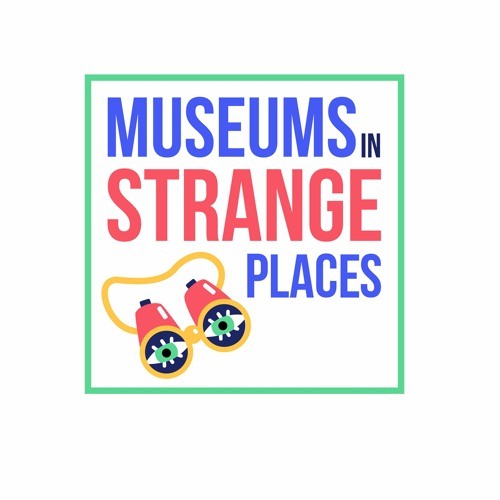 Use the hashtag #MuseumsinStrangePlaces on social media. The podcast is hosted by Hannah Hethmon, an American Fulbright Fellow living in Reykjavík. You can find her on Twitter and Instagram @hannah_rfh or on the web at hhethmon.com. Hannah has a BA in English Literature from the University of Maryland, College Park and an MA from the University of Iceland in Medieval Icelandic Studies. After completing her MA, she spent two years as the Marketing Coordinator for the American Association for State and Local History, a Nashville-based national nonprofit dedicated to serving history museums, historical societies, and other public history institutions.